In a room underground, a large group of (predominantly) men in their early 20s are pouring over tables of numbers and talking probability. But for the lack of facial hair, this could be some sort of Dungeons & Dragons convention. Instead, the group is comprised of individuals who look more like the character on the front of Football Manager. 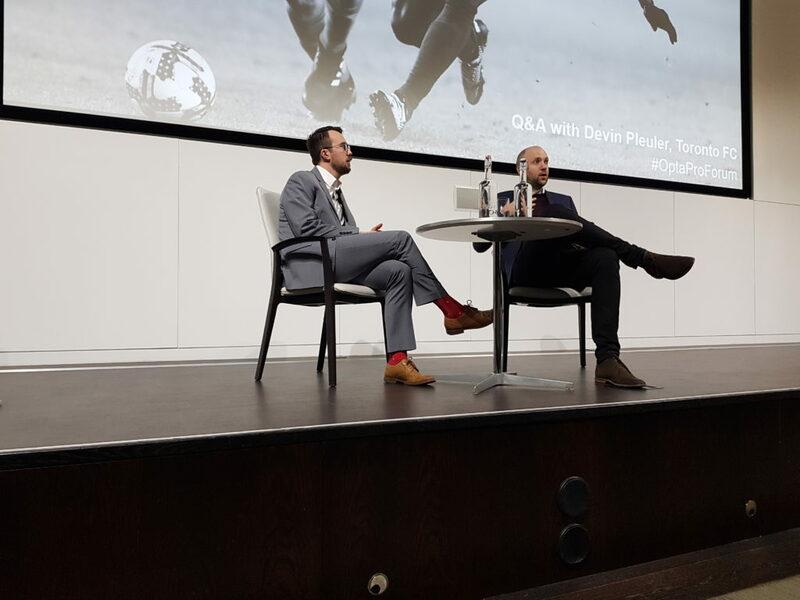 This is the OptaPro Analytics Forum, a yearly conference which brings together analysts from around the world who investigate the underlying data of the beautiful game. Wherever statistical analysis of football proceeds, controversy follows like a trawler attracts seagulls. For the most part, this polemic is generated by the binary nature of the debate. For every yay-sayer, there’s a nay-sayer. For every advocate, there’s a detractor. For every believer, there’s an atheist. The religious analogy is pertinent, for the application of statistical analysis to football seems to spawn either slavish devotion or rabid disparagement. So far, so simple. But if you were to assume this was just an industry exhibition aimed at picking up new clients, you would be mistaken. Yes, there are representatives from football clubs present, as well as employees from other companies dedicated to statistical analysis. But there’s another group of individuals here: ‘Public Analysts’, or fanalysts, who dedicate their own free time to football analytics. Why are they here? To explain this, some ecclesiastical history is required. In 1996, Opta Index Limited was founded with the express purpose of gathering data from Premier League football matches and analysing it. However, a problem remained: how would Opta go about analysing the data? The answer, it turns out, would come – at least in part – from fanalysts. 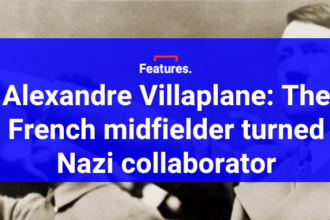 A group of individuals, the majority of whom worked in areas of the private sector which implemented forms of statistical analysis, helped pioneer the way forward for football analytics. Over a decade later and the fanalysts remain. For despite the great success of Opta – who were bought out by Perform Group for £40m in 2013 – the company has learned that the dissemination of ideas requires more than just offering information to the wider world. The football clubs, it turns out, aren’t interested in the developmental stage; they simply want ready-made solutions to existing problems. As a result, the fanalysts remain important allies of Opta. It’s they who play with the numbers and think through the possibilities available to football analytics. 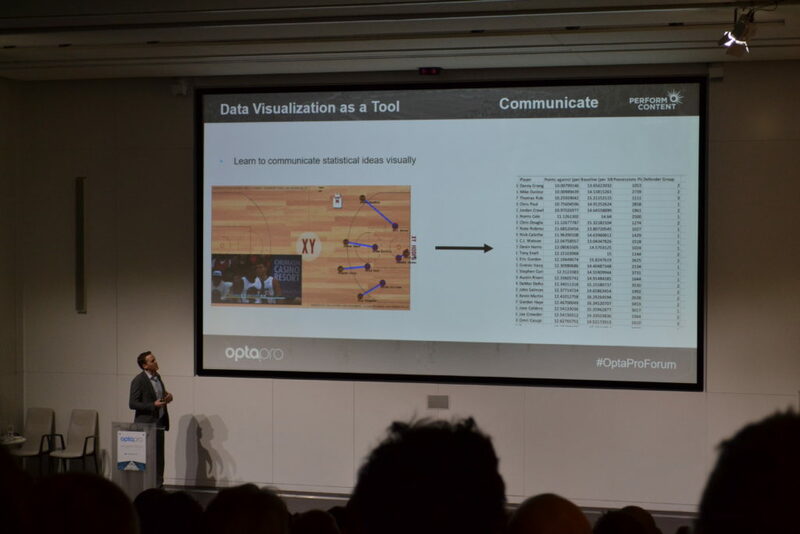 At the first OptaPro Forum in February 2014, a large proportion of the 40 or so attendees were fanalysts. The world of statistical analysis in football, then, remains a broad church. And OptaPro want it to become broader still. Evangelism was the watchword of the Forum this time around. 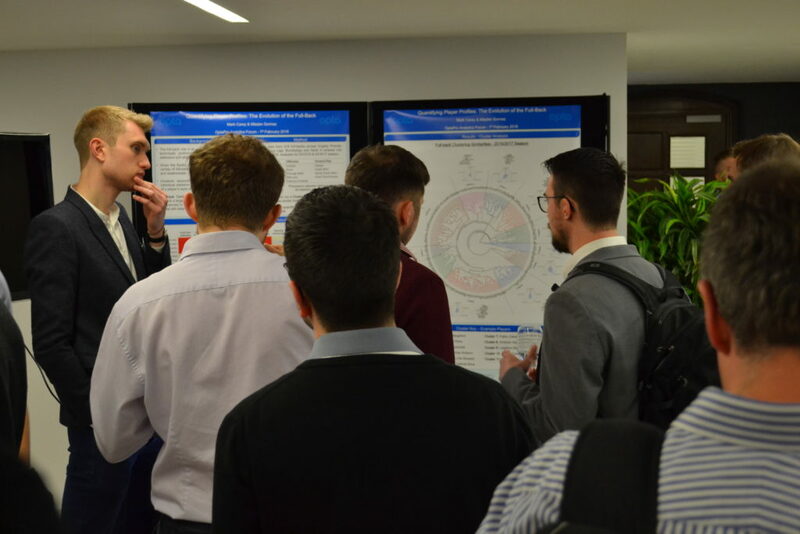 Now held at 30 Euston Square, a spacious conference suite a short stroll from the station, the 2018 Forum saw around 300 participants gather together for a series of presentations dedicated to the ongoing development of statistical analysis in football. The proselytism was palpable. This was applied maths, not pure maths. At the end of each presentation, there was a call to the gospel: “Taste and see that the data is good! Here’s how you might practically apply analysis of tracking data to your pressing drills. Here’s how you might practically prepare to defend an opposition’s corners. Here’s how you might practically assess a defence’s overall capabilities.” If clubs aren’t going to come and drink at the well, the water must be carried to them. 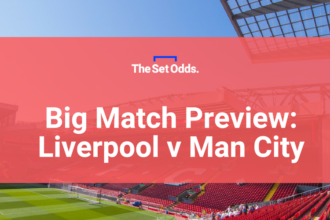 In a world in which football has become hyper-capitalised, in which even the finest of margins have been monetised, many football clubs remain unconvinced of the value of statistical analysis. To underline this point, Leicester City recently advertised for a ‘Performance Analyst’ role which required degree-level qualification and the willingness to work unsociable hours for a salary of just £18,000-£20,000 depending on experience. An analyst at another Premier League club told this writer that he was the only dedicated data analyst in his section and consequently spent most of his days clipping videos for highlight reels. To be more precise, it’s the people who control the money at football clubs who remain unconvinced of the value of statistical analysis. As Riley clarifies: “club staff show interest, club decision makers don’t.” The question has become: how do you influence the influential? And so to the final event of the day, the altar call. Enter Luke Bornn, who has a PhD in Statistics and held positions at Harvard and Oxford, before working as an analyst for Serie A side Roma. If football analytics is a broad church, Bornn is the high priest. The day rounds off with a trip to the local, The Square Tavern. And it’s here, beyond the sterile professionalism of 30 Euston Square, that it feels like the real congregation of football analysts begins in earnest. 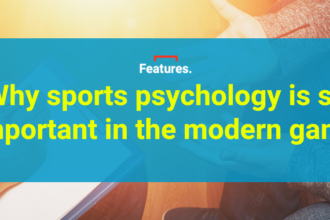 For despite the leaps and bounds that have been made within football analytics in the last decade, the discipline persists as a result of the individuals who are, in essence, fanalysts.